Category Archives for "Contact Lens Cleaning Solution"
Visit a pharmacy or any drug store out there, and you’ll come across hundreds of bottles containing solutions that claim to clean, disinfect or rinse contact lenses. This situation can be confusing and frustrating at the same time especially if you are a first timer and you need a solution to clean your lenses. One thing that you need to keep in mind is that you can’t just pick a solution and decide that it’s the best for your contacts. You have to be sure that the disinfectant in question will work efficiently. Choosing the wrong solution may lead to severe eye problems some of which can lead to permanent vision loss. 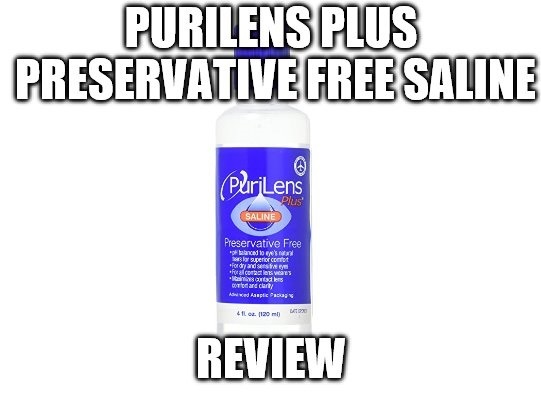 PuriLens Plus Preservative Free Saline claims to rinse your contacts enabling you to have a clear vision, free from irritation, burning and dryness. The solution ensures that you enjoy your day with a lot of comforts and that your eyes remain moisturized at all times. The solution has no preservatives, a feature that makes it the best for individuals who suffer from allergic reactions. Just like Unisol 4, the product will provide your eyes with adequate relieve and also get rid of debris that might have accumulated on the surface of your lens. 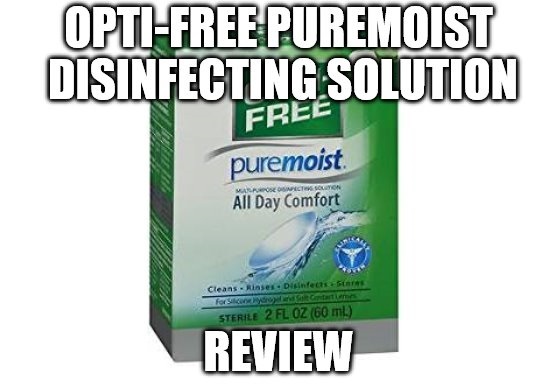 Opti-Free Puremoist Disinfecting Solution claims to clean and disinfect your contacts providing you with all-day comfort. The solution gets rid of all microorganisms and germs that can cause severe eye infections. With this product, you will always have a clear vision and healthy eyes. This disinfectant happens to be the number one doctor recommended due to its top-notch functionality. Visit your ophthalmologist, and they’ll most probably tell you to get the solution if you want to have clean and well-sterilized lenses. 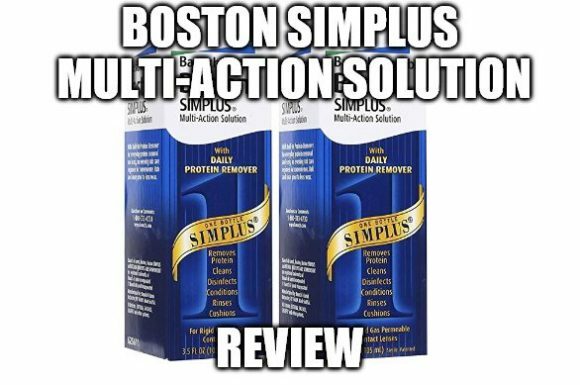 Boston Simplus Multi-action Solution will clean, remove proteins and disinfect your contacts enabling you to have healthy eyes at all times. This product ensures that you get back to your usual self. You will thus carry out your daily activities with ease and without suffering from any discomfort. Use the disinfectant on your hard contacts, and you’ll see a significant change in your vision. A pack comes with two bottles of 3.5 ounces each, enough solution to keep your contacts clean and free of germs for some days. 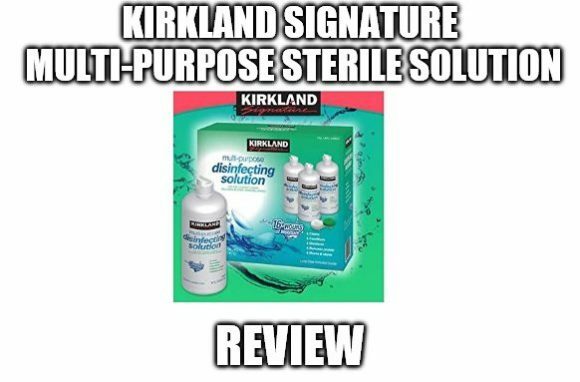 Kirkland Signature Multi-Purpose Sterile Solution claims to clean and disinfect your lens enabling you to have comfortable contact lenses. Using the solution will give you the chance to have a clear and healthy vision and hence have the opportunity to enjoy life as a whole. The disinfectant comes in a three pack with bottles of 16 ounces each meaning that you’ll have enough solution to use for an extended period. Most disinfectants come in containers of a maximum of 12 ounces each, and thus this product will outdo them all. 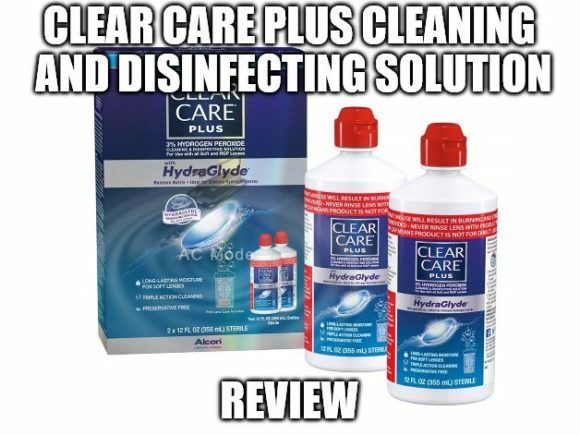 Clear Care Plus Cleaning and Disinfecting Solution will clean and disinfect your contacts enabling you to have a clear vision. With this solution, your eyes will be safe from germs and dangerous infections which can cause permanent vision problems like blindness. The solution can clean and disinfect both soft and RGP contacts, a feature that makes it the best when compared to other products from other brands. If looking for a disinfectant that will clean your contacts to your satisfaction, you can never go wrong with this product. 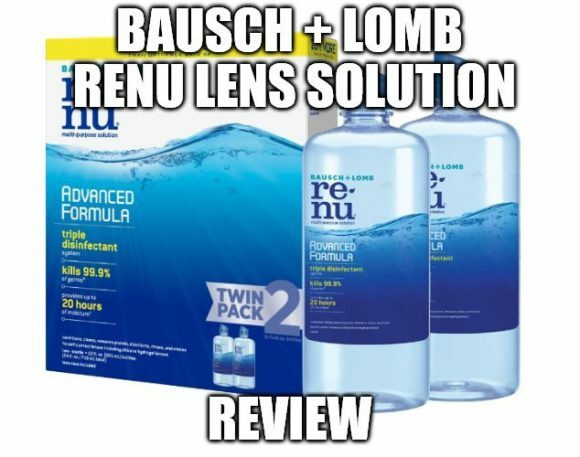 Bausch + Lomb ReNu Lens Solution claims to clean and disinfect your contacts from germs. With this solution, your lenses will become clear and free of microorganisms that cause eye infections. 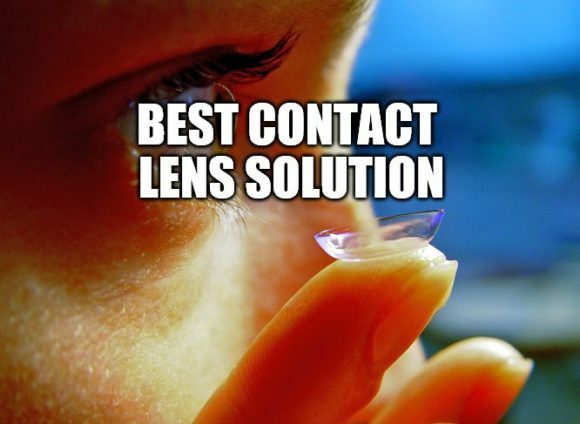 Your contacts will also remain moisturized for long hours enabling you to work with a lot of comforts and also have all the fun that you want. The fact that the product comes from Bausch+ Lomb, a well-known and respected company makes the solution the best. 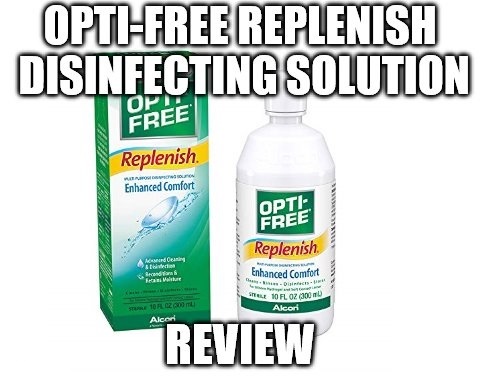 Most eye care providers will most likely refer the disinfectant to you due to its effectiveness. 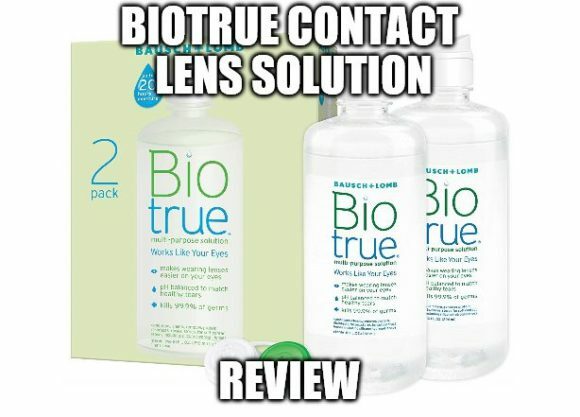 Biotrue Contact Lens Solution will disinfect, clean and remove denatured proteins, germs, and even debris on your contact lenses. With this solution, you will always have hydrated contacts and thus never suffer from eye strain or dryness. You will still have healthy eyes as long as you use this solution. Biotrue Contact Lens Solution is the only solution that works for your eyes. The disinfectant has the same lubricant that your eyes contain naturally and also has the same pH as healthy tears. You should never doubt the functionality of this product. Lobob Lobob Optimum Cleaning Solution claims to clean and disinfect your contact lenses enabling you to see clearly and with a lot of comfort. With this solution, your eyes will get protected from contracting germs that might have built up on the lenses and thus help you to have healthy eyes at all times. As you wear contacts, sometimes, protein, mucous and other debris may build up on them. Using a disinfectant helps in removing these materials and germs. 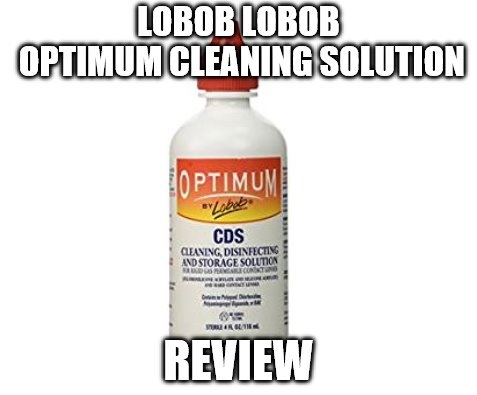 This product from Lolob is one of the best disinfecting solutions in the market today and will significantly help you to keep your contacts clean.